This younger girls white woven top and leggings set is an adorable option for everyday wear. 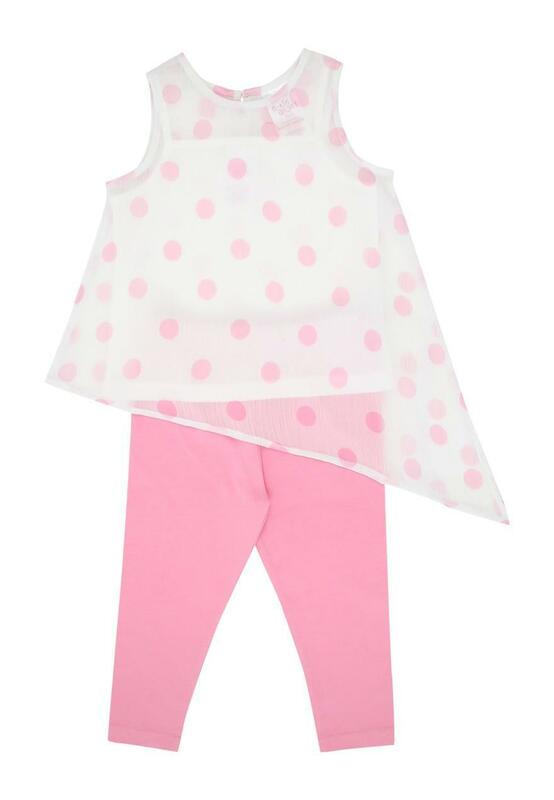 Featuring a spot print vest with an asymmetrical hem and a pair of matching pink leggings, this set is a must have addition to her little wardrobe. Very stylish. unique and good value for money.